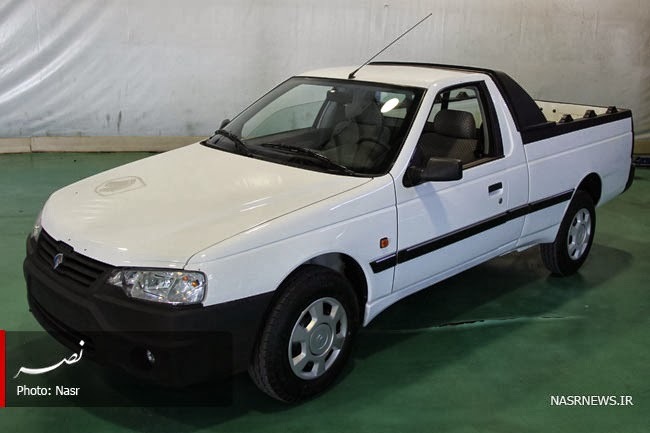 Recently unveiled is Iran Khodro's latest rendering of its expected PU1 compact pickup truck. PU1 is derived from the Iranian assembled Peugeot 405 platform, featuring ICKO OHVG2 Dual-Fuel 1700 cc engines in CNG and two gasoline grade configurations. Power transfer is through driveshaft and rear axle differential. Planned production is now expected to commence during the second half of 2014, with a manufacturer's retail price below $6500 U.S.
No, it may be a hoax and at the best it is inferior to western cars, because it would gas (pollute) freedom seeking population and help moronic thieves. your comment makes you look like a propagandist moron.